In a corporation dominated world, keeping your family safe is tough. Business travel and family travel markets do not always mix well. Please fully explore this page and the articles listed here. See "what makes a family friendly hotel" below. What makes a Family Friendly Hotel? This section of AllStays.com features hotels and accomodations that have a very select criteria for family. 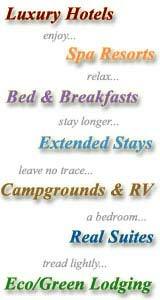 Each hotel in this section was chosen as "Family Friendly" based on satisfying at least 3 of the criteria below. Please note that with the pervasiveness of adult entertainment in more than half of all hotel rooms today, we recommend reading the related articles to the left for more information. We are diligently working on more information for you. This is a sensitive subject that most corporations don't want to talk about or even answer properly over the phone. If this is important to you, it's best to be well informed before you go. A simple remote control click could let you buy programming. A previous guest may have purchased 24 hour content that is still running on the television when you check in. A free preview may be a bit beyond your parenting guidelines. Traveling with toddlers is special. Saving money makes for a happy vacation.